Africa Internet Group (“AIG”), a leading e-commerce group in Africa, and AXA, a worldwide leader in insurance and asset management, today announced a partnership whereby AXA will become the exclusive provider of insurance products and services through Jumia and other AIG online and mobile platforms in Africa. Going forward, AXA’s African insurance companies plan to propose custom-made insurance products to Jumi and AIG’s e-commerce client base through its ecosystem of marketplaces and classifieds services. connect and do business in a new way. We continue to be very excited about the growth prospects of Jumia and this new partnership will enable us to capture them,” said Sacha Poignonnec and Jeremy Hodara, founders and co-CEOs of Jumia and AIG. “We expect Africa’s e-commerce and online businesses to develop rapidly as a result of the strong growth of the middle class coupled with the increasing mobile phone and internet penetration. The additional capital contributed by AXA will further strengthen the balance sheet and support AIG’s continued growth. Jumia, AIG’s main subsidiary, is currently present in 11 African markets and grew its transaction volume (GMV) by 265% during first 9 months of 2015 to reach Euro 206 million. Jumia is part of broader ecosystem of services providing opportunities for local African businesses to do business with the fast-growing African consumers and middle class. Other services include Kaymu, a leading online shopping community, as well as leading marketplaces in food delivery (Hellofood), travel (Jovago) and leading classifieds in real estate (Lamudi), jobs (Everjobs) and cars (Carmudi). 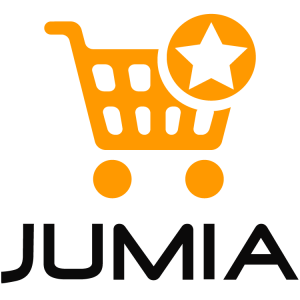 Jumia is Africa’s leading online shopping destination with a presence in 11 countries. Since launching in 2012, the company has transformed the way that African consumers shop by offering them the opportunity to buy everything from fashion items to consumer electronics to home appliances all online. Jumia is part of a larger ecosystem of companies supported by Africa Internet Group (AIG), a leading internet company in Africa with a network of companies including Carmudi, Easy Taxi, Everjobs, hellofood, Jovago, Jumia, Kaymu, Lamudi, Vendito and Zando across 23 African countries. The AXA Group is a worldwide leader in insurance and asset management, with 161,000 employees serving 103 million clients in 59 countries. In 2014, IFRS revenues amounted to Euro 92.0 billion and IFRS underlying earnings to Euro 5.1 billion. AXA had Euro 1,277 billion in assets under management as of December 31, 2014. The AXA ordinary share is listed on compartment A of Euronext Paris under the ticker symbol CS (ISN FR 0000120628 – Bloomberg: CS FP – Reuters: AXAF.PA). AXA’s American Depository Share is also quoted on the OTC QX platform under the ticker symbol AXAHY. The AXA Group is included in the main international SRI indexes, such as Dow Jones Sustainability Index (DJSI) and FTSE4GOOD. It is a founding member of the UN Environment Programme’s Finance Initiative (UNEP FI) Principles for Sustainable Insurance and a signatory of the UN Principles for Responsible Investment.